The department store chain confirmed receipt of Sports Direct’s proposal to provide a 12-month unsecured loan of £150million, under the condition that Mike Ashley is named CEO and director of the business. 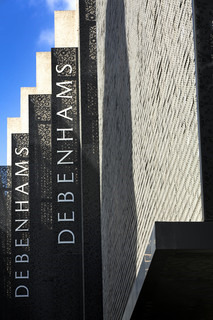 Debenhams says it will engage with all stakeholders over what is in the best interests of the company. The proposal is subject to Debenhams making 5% of shares available to Sports Direct, growing Mike Ashley’s share in the department store business to 35% and appointing him as CEO and director. The new deal follows an initial boardroom coup by Mr Ashley, who attempted to get himself voted on to the board, in turn, ousting all bar one of the retailer’s existing board members. At the time, Debenhams was in talks with lenders about a £150million refinancing package and said it was disappointed by Sports Direct’s actions; even calling on the competition watchdog to get involved, considering Mr Ashley also operates House of Fraser; having bought the business out of administration last August. Under Sports Direct's new proposal, it would make a £150million unsecured term loan (of 12 months) to Debenhams available on or before March 31. Of the total amount of the lending, £40million would be used to repay Debenhams’ £40million bridge facility with an attendant release of security. The remaining £110million would be available for general working capital. Under the conditions of the loan, Debenhams would agree to put a proposal to its independent shareholders to approve the issue of around 5% new shares at the prevailing market price to Sports Direct – this increasing Sports Direct's shareholding to around 35%. If the 5% share issue and related “whitewash” was approved by Debenhams’ independent shareholders, the £150million loan would be guaranteed to be interest-free. If such approvals were not forthcoming, the loan would bear interest at 3%. Mr Mike Ashley would also become a director and the CEO of Debenhams. Responding, Debenhams said it had received Sports Direct’s proposal “subject to certain conditions”, adding: “Any third-party loan offer on these terms would require both the consent of our RCF Lenders and Noteholders and material amendments to existing facilities. “Nevertheless, the board will give careful consideration to the proposal and will engage with Sports Direct and other stakeholders regarding its feasibility in the interests of all parties.